Trip by Skyscanner's Washington D.C. travel guide is the best way to discover the coolest places to go in Washington D.C. 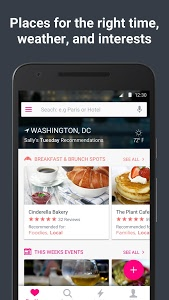 Whether you're a tourist planning a vacation or a local exploring the town, Trip by Skyscanner offers insider reviews and photos for the best hotels, restaurants, and places to go in Washington D.C. Named Editor's Choice on Google Play, and featured in New York Times Travel, Conde Nast Traveler, Travel + Leisure, CNN Travel, Huffington Post, Outside and more. Trip by Skyscanner's Washington D.C. City Guide offers the best personalized guide to the capitol. With its impressive monuments and museums, its stately government buildings and mansions, Washington D.C. is easily recognizable as the United State's capital city. The city is mainly based on government and everything from museums to mansions bring millions of tourists each year. Washington D.C. is the second most visited city in the United States (after New York) and is among the top travel destinations in the world. 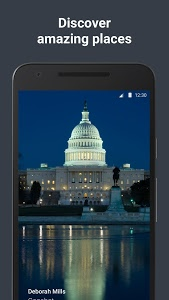 ✓ EXPLORE Washington D.C. to the fullest, with maps, reviews and photos. ✓ PLAN your next trip easily and discover where friends have been! 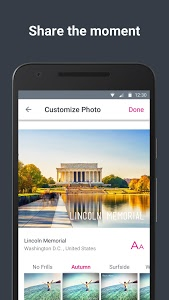 ✓ CREATE stunning photo postcards and reviews of places you've visited. ✓ JOIN a community of passionate travelers from around the world. Trip by Skyscanner Tribes are communities of travelers who share common interests. Are you a trail-blazing jet-setter with an adrenaline addiction? The Adventure Tribe may be for you. Feel at home in high-end hotels in exotic locations? Check out the Luxury Tribe for great tips. Always on top of the latest local hotspots? The Trendsters Tribe and Nightlife Tribe is where you'll find your groove. With 19 Tribes, and more on the way, travel advice has never been more personal! Share your experiences with your friends. Turn your photos into digital postcards and customize them with filters to make them look beautiful. You can share your postcards with friends via Facebook, Twitter, email or SMS. You can also browse beautiful postcards from around the world on the "Featured" feed. - Trip.com is now Trip by Skyscanner - Trip.com was acquired by cTrip and Skyscanner - so we've updated the app to reflect that. Don't worry - we'll still be everything you like and trust - we're still the Trip.com team and community, and nothing other than the name is changing immediately. 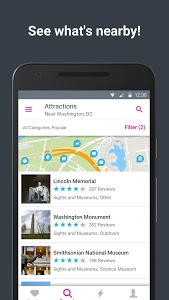 Similar to "Washington D.C. City Guide - Trip by Skyscanner"